Daria Peoples-Riley’s debut picture book is a celebration of individuality, self-expression, and dance. Fans of Misty Copeland’s Firebird and Matt de la Peña’s Last Stop on Market Street will want to read it over and over again. With an energetic, rhythmic text that begs to be read aloud and striking, exuberant artwork, This Is It is a love story to originality and the simple joy of movement. The future is in your footsteps. Freedom is in your feet. Daria Peoples-Riley’s first job was at nine years old, in the children’s section of her hometown library. Much later, she became a teacher, and now she is a full-time author and illustrator. 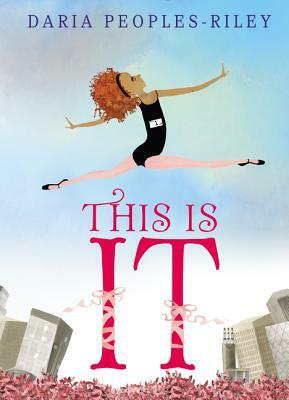 This Is It is her first picture book, inspired by her daughter, her rich cultural background, and their first visit to New York City. She lives with her family in Las Vegas, Nevada.